Dr. Bowen is a graduate of the University of California, Irvine with bachelors degrees in biology and psychology. He attended dental school at Washington University, St. Louis, graduating with honors in 1985 as a member of Omicron Kappa Upsilon Honor Society. After graduation Dr. Bowen received a commission as a captain in the U.S. Air Force and was accepted into a General Practice Residency, receiving additional training in a variety of dental specialty areas including periodontics, oral surgery, children's dentistry, root canal therapy, restorative dentistry and prosthodontics. He continues to attend continuing education meetings and conferences to further his training. After completing his residency, Dr. Bowen served for three and a half years as an Air Force dentisit at RAF Alconbury, near Cambridge, England. Upon leaving the Air Force, Dr. Bowen joined his father, Warren Bowen and Bill Keegan at their dental practice in Glendora. He has practiced at this location since 1989 and is currently in association with Dr. John Wang. He is a member of the American Dental Association, the California Dental Association, the San Gabriel Valley Dental Society and the Mt. Baldy Dental Study Club. 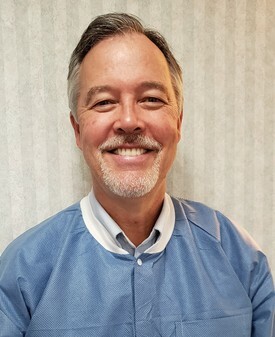 He Serves on the Advisory Board for the Citrus College Dental Assisting School and voluteers with the Glendora School District for the children's dental health screenings. Dr. Bowen grew up in Glendora and has lived here for 35 years. He and his wife, Kim, have four children. He has always been active in the Glendora community, coaching Little League Baseball and Glendora Youth Soccer, as well as serving as an Assistant Scoutmaster and Eagle Scout advisor for a local boy scout troop. In his spare time he enjoys boating, water skiing and RC model airplanes. Dr. Wang is a graduate of U.C.S.D. with a Bachelor's Degree in Biochemistry. He attended dental school at U.S.C. and was a graduate of the class of 1999, in the top 10%. Dr. Wang has been in practice for over 13 years, primarily in the San Gabriel Valley area. He has practiced at this location since 2005 and is currently in association with Dr. Stephen W. Bowen. He is a member of the C.D.A. and the Academy of General Dentistry. 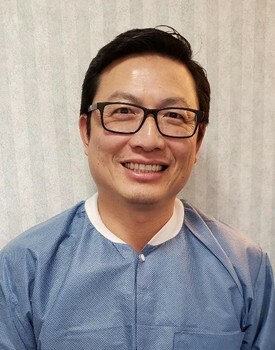 Dr. Wang grew up in Irvine, CA and is currently residing in Walnut with his wife, Linda, and their 2 children. In his spare time, he likes to golf and bowl. Nowadays, he just loves to hang out with his children.